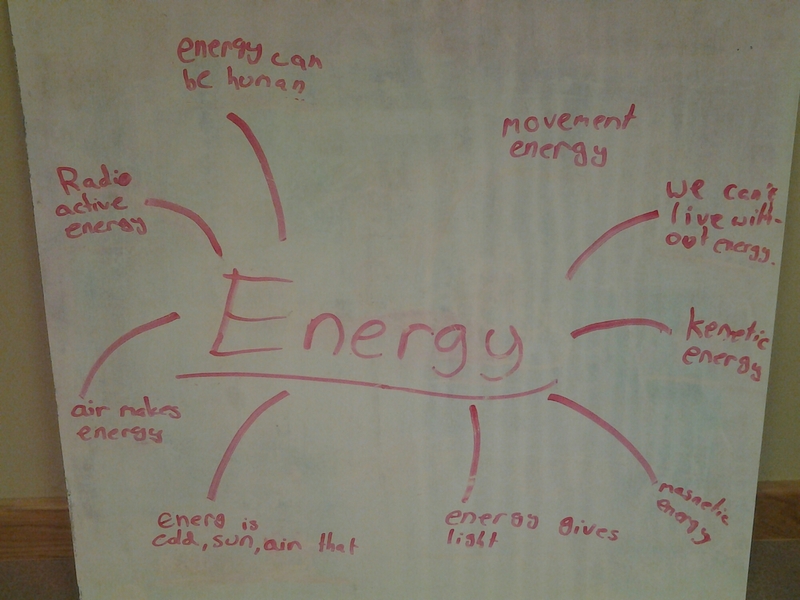 My modelling grade 11 students know that energy is a number with many formulas, but my grade 6 students have a lot of different ideas about the meaning of energy. 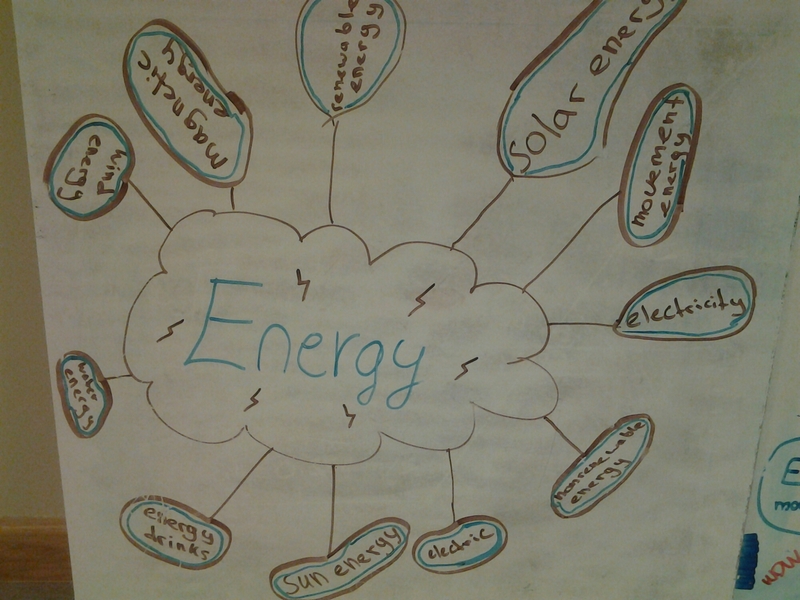 Many have identified different kinds of energy, which is a good approach but doesn’t really answer the question. Others are clearly half-remembering a good-intentioned elementary school class in which they learned (although I suspect ‘were told’ would be accurate) that living things need energy. Perhaps I could ellicit a description of photodynthesis or a food web from these students. Beyind the curriculum, I have been attracted to energy because of the way it has been adopted by youth culture. One student defined energy as “whatever is in” a can of Monster energy drink. I am in need of an area of focus for a culture+physics project I am doing, and energy seems appropriate. 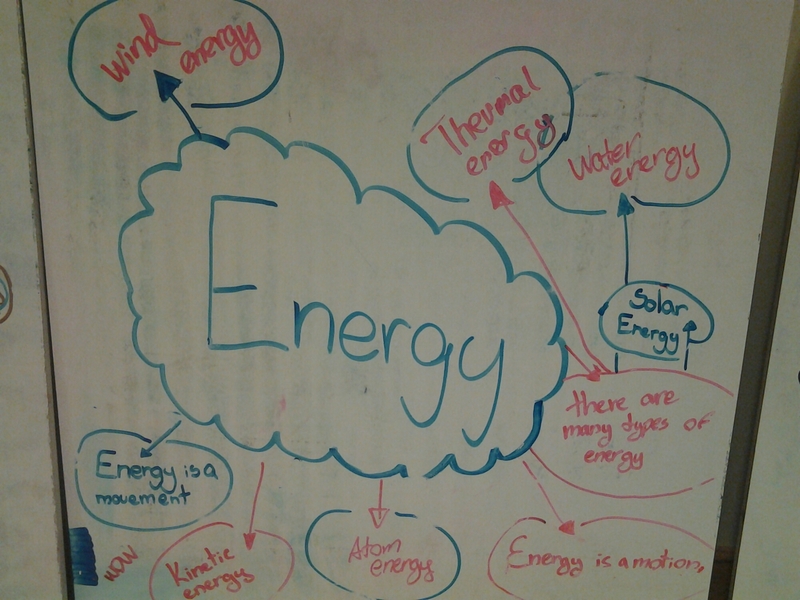 This entry was posted in Uncategorized and tagged energy, grade 6, models on February 2, 2015 by Danny. 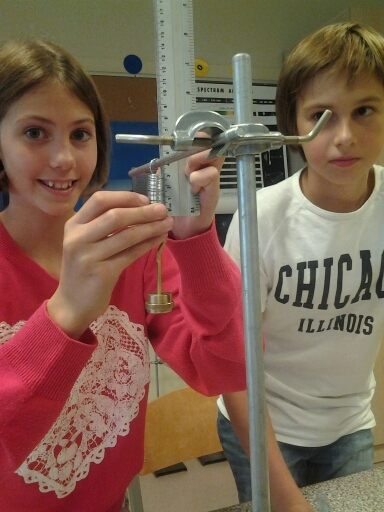 I’ve been working with my grade 6 class on the design of science experiments. The goal is that they can state a research question, choose appropriate independent/dependent variables, and outline a procedure. This is a challenging task for students of this developmental level — in Piagetian terms, they are sliding into the formal operational stage. Designing an experiment like this is heavy on abstract thought, so plenty of scaffolding is needed. However, the underlying goal is to get the students to work with independent and dependent variables directly, and to record their data onto a neat table. This experiment, as well as the water absorbency of soil lab we’ll do on Friday, will provide fodder for discussion next week. 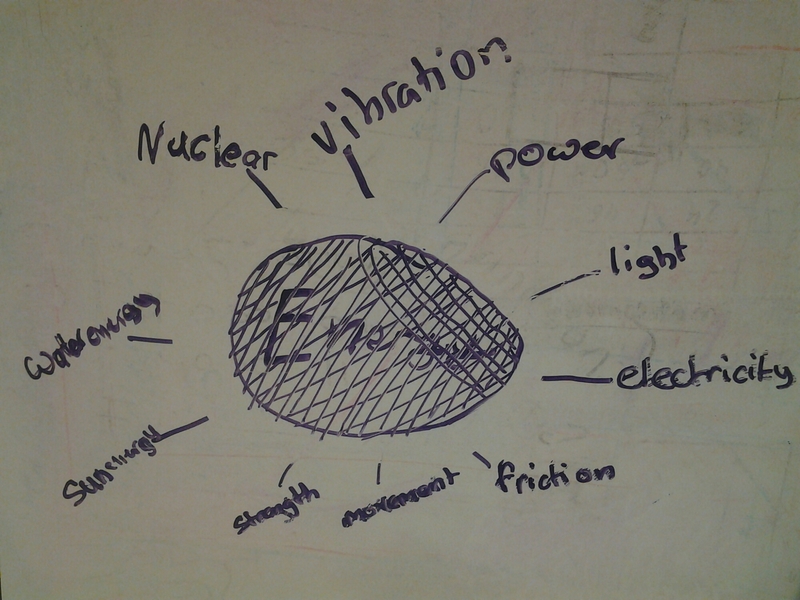 This entry was posted in Uncategorized and tagged grade 6, piaget, scientific method, springs on September 10, 2014 by Danny. My grade 6 students have been struggling with the concept of fractions in their math class. To support their studies in math, I put together a lab investigation involving fractions. For this, our third lab, the students are starting to understand our procedures. On the down side, it is becoming apparent that some members of the class are uninterested in reading and writing, which are important aspects of our programme. 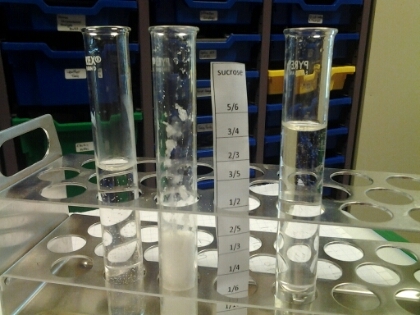 The students measured sucrose and water, as a fraction of a full test tube. These were mixed in a beaker and then poured back into a test tube to measure the fractional final volume. In most cases, it was clear that the volume of solution was more than the original volume of water but less than the sum ov the volumes of water and sugar. This led to questions about the nature of dissolution. I was impressed by some of the models that were constructed, and also by the initiative by some students to examine the effect of water temperature… although unfortunately we ran out of time to explore these. This entry was posted in Uncategorized and tagged fractions, grade 6, labwork on August 29, 2014 by Danny. The lab notebook provides a structured way to approach and document experiments. The lab notebook allows for written self-expression, without getting away from a model-centered course of study. The lab notebook stays in the classroom, which will (hopefully, but I’m realistic) mean that it will never be ‘at home’ when we need it. The lab notebook serves as a cumulative, living document of our work together. The lab notebook documents a large number of the things I need to assess for the IB Middle Years Programme. Of course, the first step is to create a model for how we write in our lab notebooks! 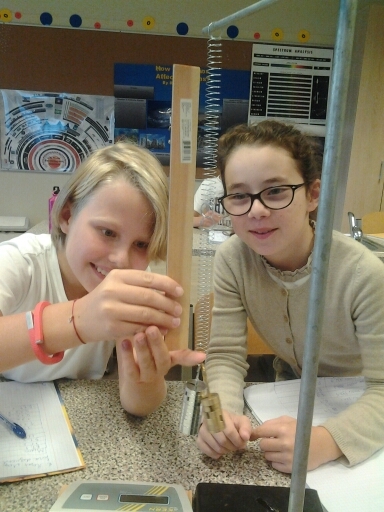 Over the past week, the students have been developing models of the scientific method. I took my favourite, had the students add/delete a couple things, and then we used that to create a template for the lab notebook. I’m especially happy about the “idea” and “safety” sections. These are not things I would have included, myself, but I think they’re great additions. 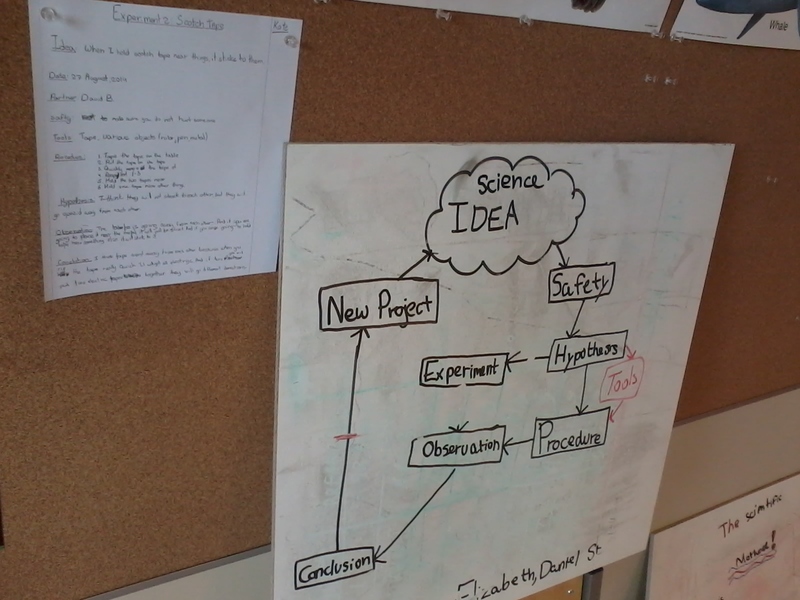 The “idea” section provides a connection to familiar phenomena (or a modeling-standard introductory demonstration), while the “safety” section forces the students to think ahead to safety issues. Today we used Scotch tape to see some static electricity in action. During the ~15 minutes between my first demonstration and the first student saying “static electricity” I was on a cloud: it was tremendous to see the students trying to grapple with something completely alien. The tape was attracted to most things, but not other tape. And especially to metal. And it was attracted to water?! And if you watched closely, a stream of water from the tap actually moved because of the tape?!!! I didn’t have to prod or prompt anything. Children are fantastic. This entry was posted in Uncategorized and tagged grade 6, lab notebooks, scientific method on August 27, 2014 by Danny.